It’s been a little while since I shared an update on my student loan situation. Luckily, I’ve still been paying making progress and paying off my loans aggressively even though I’m freelancing full time. 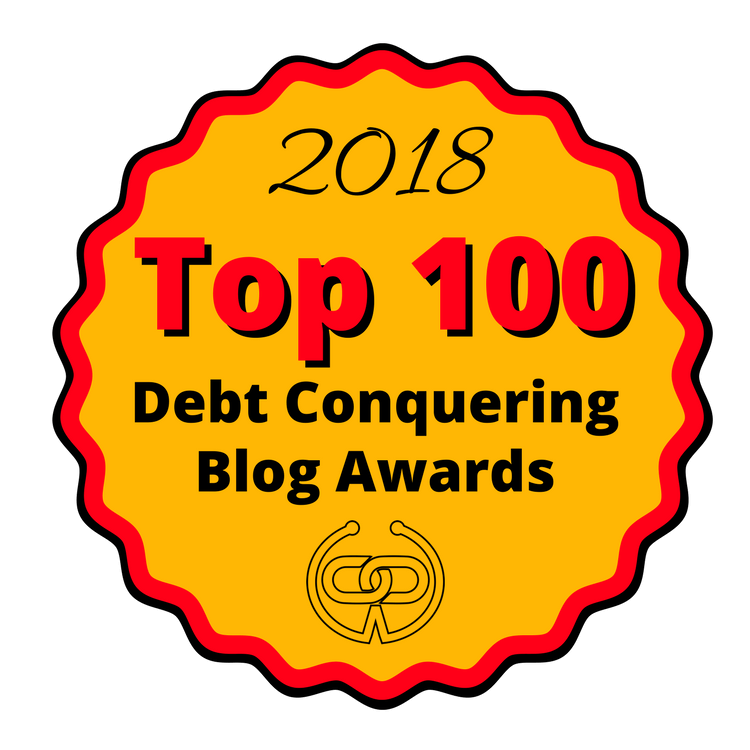 Long time readers know I started this blog to document my debt repayment journey and be accountable. I really want to be debt free but I know it’s a process and I’m trying to make the best of it. My debt has held me back from a lot of things and will continue to hold me back until I get rid of it for good. I know I’m not the only one saddled with student loan debt either. While the national student loan debt average hovers around $29,400, the average millennial has a student loan balance of $41,286. During the last update, I shared what my loan totals were and discussed the idea of considering student loan refinancing or consolidation. Below are my current numbers as of October, and I’m happy to say my loans are almost half way paid off. Since my interest rates are pretty low and I have a federal lender, I decided against refinancing my loans. While I hope to have the whole balance paid off soon, I didn’t want to have to opt out of being able to take advantage of federal student loan relief options if I needed them. Paying off my student loans has been an up and down process but I’m pleased with the progress I’ve made since I started taking debt payoff seriously at the end of 2014. If you are dealing with student loan debt as well and need a plan of attack, here are a few tips and strategies to keep in mind that helped me. First off, you always want to know this information so you can get a clear picture of your situation. According to Forbes, 37% of millennials don’t know what the interest rate is on their loan, while 15% don’t even know how much they owe. While this sounds ridiculous, I can somewhat understand the confusion because student loans can be tricky to understand and sometimes life can get super busy and you just may not have had the time to look into your situation. Back when I was in college, I probably didn’t keep a tab on how much money I borrowed in loans. However, now that you’ve graduated and have to repay that money, it’s important to get all your ducks in a row and have all these important details on hand. There are two popular strategies to use when paying off your student loan debt and it’s clear that I’m more partial to the avalanche method of debt repayment over the snowball method. With the snowball method, you pay off the loan with the lowest balance first in order to gain momentum by paying off debt quickly. With the avalanche method, you focus on paying off the loan with the highest interest rate first because it is most likely costing you more money. While the snowball method is great if you want to stay motivated throughout your debt repayment journey, the avalanche method of debt repayment is a definite way to make sure you are saving as much money as possible. By focusing on paying off my loans with the highest interest rate first, I am able to pass less interest over the life of my loans. With that being said, sometimes it won’t matter which method of debt repayment you use since everyone’s situation is different. Maybe your loan with the lowest balance has the highest interest rate so you’ll use a hybrid strategy that involves both the debt snowball and debt avalanche methods. Maybe paying off your loan with the highest interest rate won’t help you save that much money because there are other loans that are costing you more money each month. For example, the interest rates on my student loans are all pretty similar. I had a few high balance loans that had lower interest rates and were costing me a ton of money, while my loan with the highest interest rate wasn’t costing me nearly as much money because it was only a $1,000 loan. This is why I say the avalanche method is great to try if you want to minimize the interest you pay on your student loans over time, but as long as you’re making process using whatever strategy works best for you, that’s all that matters. If you really want to get more bang for your buck, see which loans are costing you the most money each month and pay those off first. Interest accrues on your student loans daily and you should be able to calculate which ones are costing you the most money each month or just ask your lender. Making extra payments was a huge factor that contributed to paying down my loans so fast. When you first start paying back your student loans, it seems like a large amount of your minimum payment goes toward the interest each month. I really didn’t want to be stuck paying on my loans for 10 years so as soon as I paid off my other high-interest debt, I started making extra payments on my student loans. First I started making double payments, then triple. Now, I try to put an extra $1,000 on my student loans each month if I can. Since I established a profitable side hustle through freelance writing, an extra $1,000 monthly payment was possible. There are plenty of you can do to earn extra money that you can throw toward your loans and I’ve covered a few options here on this site like virtual assistant work, customer service jobs, driving for Uber, becoming a tutor, becoming a product demonstrator, mystery shopping, and more. Even if you get extra bonuses from work you can put that money toward your student loans. At my old job we used to receive a bonus each month whenever we hit a goal and we usually hit it regularly so it was nice extra money to put toward my student loans at the time. Also, don’t worry about starting big. Even if you put an extra $100 toward your student loans each month, you’re cutting down your repayment term. You can even try making your minimum payment twice each month. If you have a 10 year term and do this every year, it could cut your term down to 5 years instead. Some people say you should make additional student loan payments on certain days to maximize how much of your payment goes toward the principal balance and not interest. I usually make my extra student loan payment a day or two after my minimum payment is made because the interest accrued on my account is lower at that time. All in all, you can’t get around paying interest so you probably don’t need to stress too much about when you make your payments as long as you are at least making your minimum payment on time. After you make an extra payment, log back into your account to make sure it was applied correctly. If you want your payment to go toward a certain loan you need to let your lender know. You can call or email them, or request it right on the website as you are making your payment. You must keep in mind that each lender has a different allocation process and a portion of your payment may go toward interest or another loan before your request can be met. Even if you set up automatic recurring payments, it still doesn’t hurt to log in once a month and make sure your payments are being allocated correctly since lenders can make mistakes from time to time. While it’s important to set a ‘debt free’ date for your student loan repayment and try to stick to it, life is unexpected and anything can pop up and deter you while you’re on your journey. I originally planned to have all my student loans paid off by the end of this year, but I decided to quit my job and work for myself instead. The income I’m making now fluctuates a lot so it’s not the best situation to have for debt repayment, but I’m making the best of it. If I can’t hit my payment goal for the month, I don’t beat myself up about it and I just make adjustments. So far so good though, as I’ve been keeping my living expenses low enough that I can cover all my basic needs, freelance taxes, and my extra student loan payment each month. I’ve also been planning ahead for expensive months that include events like birthdays and Christmas so I can get by without a scratch. Your journey will most likely be different from mine, but it’s important to stay focused, plan ahead, make extra payments when you can, and adjust accordingly whenever you situation changes. In order for me to continue to share valuable stories and information to make this site as helpful as possible, I need feedback on the content as well as suggestions for what you’d like to see. If you could just take a few minutes to complete a brief survey, it would mean the world to me. I value your opinion and your time which is why I made this survey short and sweet and easy to complete in under 3 minutes. You can find the survey here. Thank you so much for your support! Congrats on having paid off half of your debt :-)! Student loan debt is no joke. Mine is slowly getting lower. As my side hustle grows, I will be able to start putting more money on them. That’s always good to hear! Great job on paying back half your student loans! I’m still chipping away at mine but hope to be finished with them in the next 1.5 years. I’m allllll for the avalanche method of debt repayment. Lately I’ve been experimenting with debt repayment psychological methods, the most popular one being coloring (coloring away your debt). It’s been surprisingly fun and motivating so far! That’s awesome! I can’t wait until my loans are long gone. I’ve heard about debt visuals where you color away your debt. It sounds interesting but I haven’t tried it yet. My student loans are like a frenemie. On one end I’m grateful for them and on the other hand I just don’t like them period. This post reminds me that I need to call them tomorrow, lol. Great advice, Chonce! Thanks Latoya! I’m grateful for them too because without them, I never would have started this blog. But now, I’m at the point where I want them GONE lol. I love the advice Chonce! This is such a big burden on millennials these days. I think it’s great to see people putting out good resources like this that help people have some direction on how to go about attacking their student loan debt. Thanks DC! I think the more people know, they better they will feel about crushing their student loans.